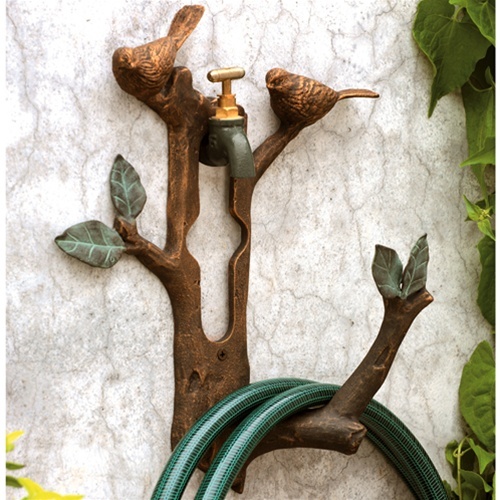 Home Sweet Home: Decorative Garden Hose Holder! Are you addicted to gardening just like me? If yes, perhaps you have lots and lots of greens in your garden waiting to be watered daily. As our plants are scattered everywhere around our house yard, watering them on a regular basis is not that easy. We are using both garden hose and the "old style" plastic pail and dipper (lol). But seeing this decorative hose holder made me smile! It's cute, stylish and functional! Your garden hose will be well protected and will also keep your floor space free of clutter. This decorative hose holder costs $59 but now, they are giving it out for $39 (sale price). Interested? You can check it out at www.rushgideon.com.